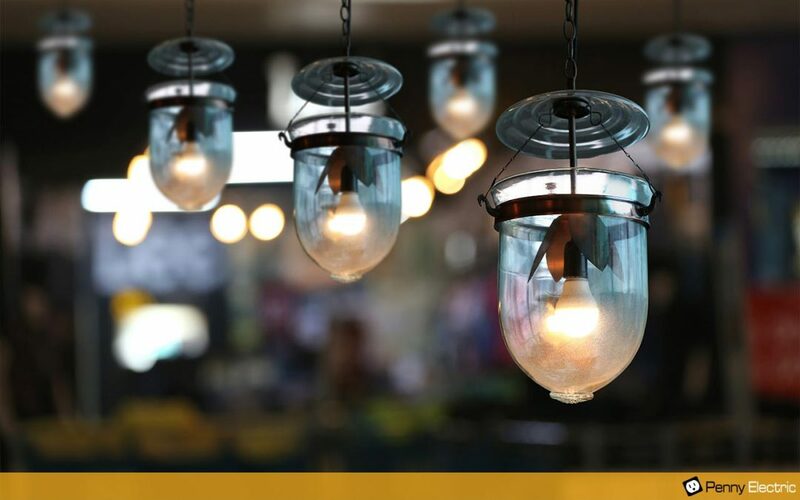 Unfortunately, many Las Vegas homeowners don’t realize just how much they can improve their home’s appearance and functionality by upgrading their lighting fixtures. By just adding a few simple lighting upgrades, you can significantly increase the value of your home, besides make it more functional. Here are a few of the most dramatic lighting upgrades that you can make. Canned lighting, also known as recessed lighting, is the term used for light fixtures that are installed into a hollow cavity in a ceiling. Besides providing a considerable amount of light, recessed lighting can create the illusion of more space, such as making a ceiling appear higher than it actually is. Regardless of the type of home décor you have, recessed lighting can usually go with it. What’s more, canned lighting isn’t as unobtrusive as other types of lighting fixtures, and it’s lightweight. Under-cabinet lighting is a very popular upgrade. Instead of lighting up every part of a room, under-cabinet lighting only highlights a certain area. Keep in mind that when you don’t need to light up a whole room, you can save money on your energy bill, which is a huge benefit for you, as a Nevada resident, living in a hot desert-like climate. In addition to being functional, under-cabinet lighting can also add dramatic appeal, making your kitchen more stylish. Consider that this type of lighting can create a beautiful shine on marble or granite kitchen countertops so that they sparkle and are even more stunning. Puck lights are so-named for their puck-like appearance and size. These round fixtures, which are battery-operated, are mostly used for highlighting kitchen backsplashes and countertops. They’re exceptionally versatile as you can mount them in various positions, such as directly at your backsplash, or you can have them aimed downward. Also, they’re easy to install in places that can be challenging to wire, although this is still a job that should only be done by a professional electrician. Pendant lighting is a lighting fixture that hangs from a ceiling by chains or rods to usher light down to where it’s needed. It’s commonly used for lighting kitchen islands, workspaces or entryway halls as well as providing warm, glowing light over a dining table. Many Nevada homeowners choose this lighting upgrade because it doesn’t take up room on a tabletop. For example, if you have limited horizontal space, such as in a bathroom, why not use pendant lighting over a bathroom vanity. Motion switches are an ideal upgrade for entryways. They’re mainly used for security purposes, warning homeowners when intruders are trying to invade their homes. They work by detecting movements and then sending signals to the control panel of a security system, whenever sensors are tripped. Although motion switches are simple to set up, they should be installed only by a licensed electrician because not doing the job right can mean they won’t work. Another common lighting upgrade is installing pressure switches. Often, people add pressure switches for lighting enclosed places. These are switches that are used for illuminating areas, such as pantries, cabinets and other spaces when the doors have been opened. For commercial lighting, it’s a good idea to replace incandescent light bulbs because they’re only suited for closets and other areas that don’t require much use. Recessed lighting can be somewhat more expensive than other types of traditional lighting fixtures. On the other hand, how much you pay can depend on the kind of recessed lighting you choose. If possible, upgrade to fluorescent light bulbs. Instead of choosing T-12 light fixtures, use either T-5 or T-8 fluorescent fixtures as they’re smaller in diameter and can provide more energy efficiency. Again, this is important for people living in hot desert climates, such as Las Vegas. If you’re a business owner, consider installing occupancy sensors, which turn off automatically. This is a good choice for unoccupied rooms, such as conference rooms and bathrooms. It’s always best to hire a trained and highly experienced licensed electrician to install your lighting fixtures. In fact, when it comes to electrical projects, it’s much safer to leave this task to the professionals. Don’t hesitate to call Penny Electric for all your residential or commercial electrical needs. By letting us solve your electrical problems, you can avoid damaging your property, or even worse, causing physical injury. Please contact us, so we can give you a free, online quote.